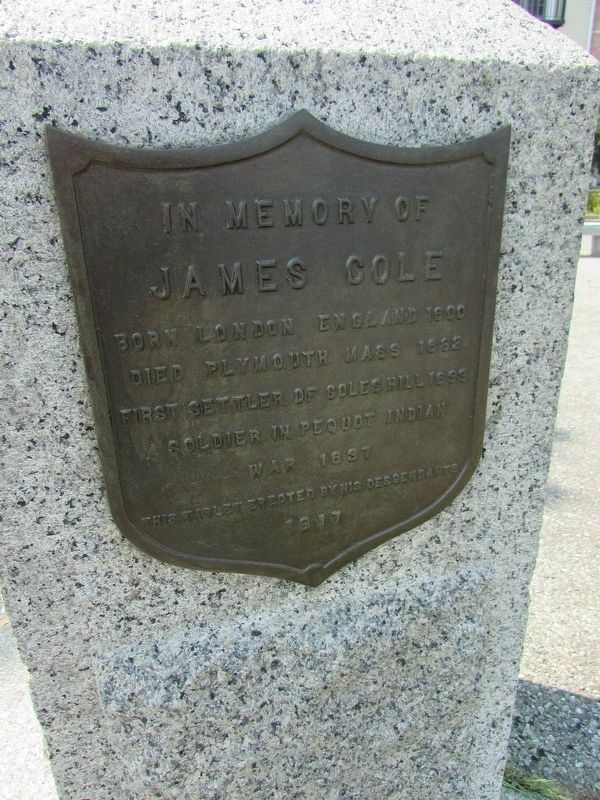 Erected 1917 by Descendants of James Cole. Location. 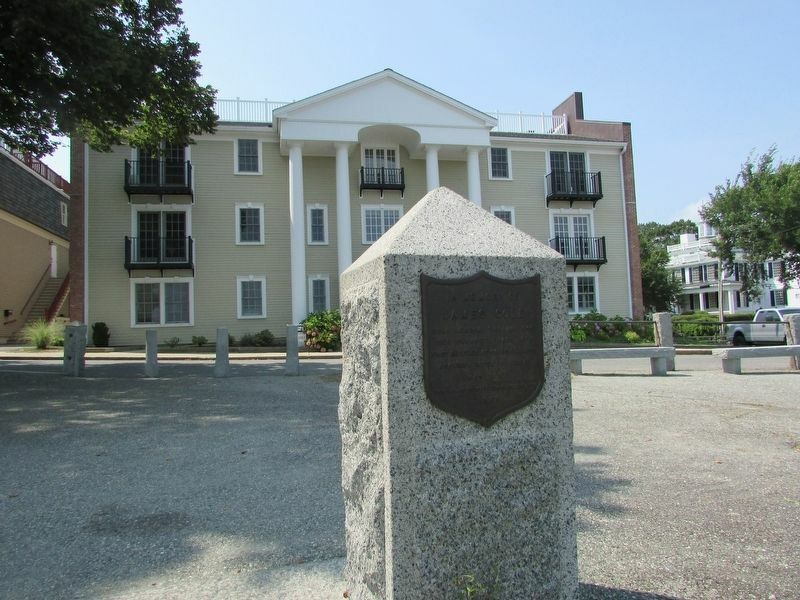 41° 57.474′ N, 70° 39.744′ W. Marker is in Plymouth, Massachusetts, in Plymouth County. Marker is on Water Street, on the right when traveling south. Touch for map. Marker is located at the top of the stairway up Cole's Hill. 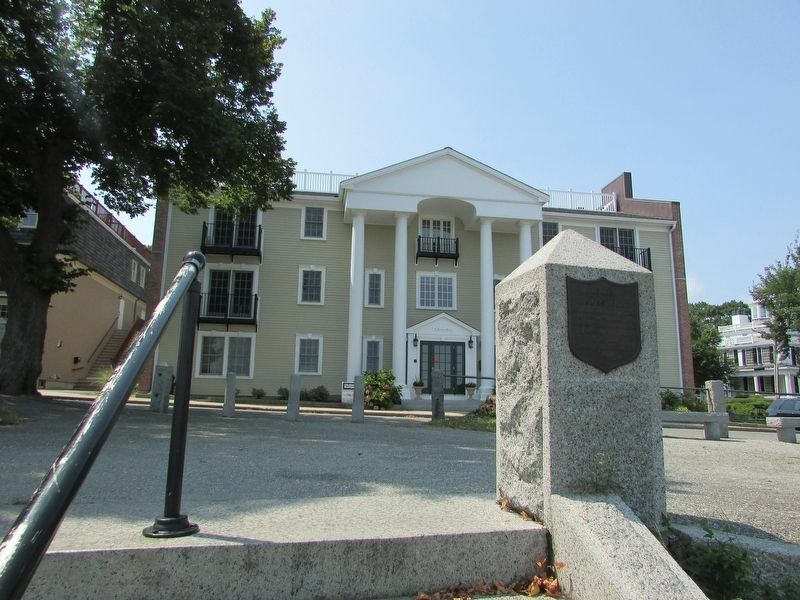 Marker is in this post office area: Plymouth MA 02360, United States of America. Touch for directions. (within shouting distance of this marker); Gurnet Fortifications (about 300 feet away, measured in a direct line); Coles Hill (about 400 feet away). Touch for a list and map of all markers in Plymouth. More. Search the internet for James Cole. Credits. This page was last revised on August 25, 2017. This page originally submitted on August 25, 2017, by Bill Coughlin of North Arlington, New Jersey. This page has been viewed 122 times since then and 8 times this year. Photos: 1, 2, 3. submitted on August 25, 2017, by Bill Coughlin of North Arlington, New Jersey.